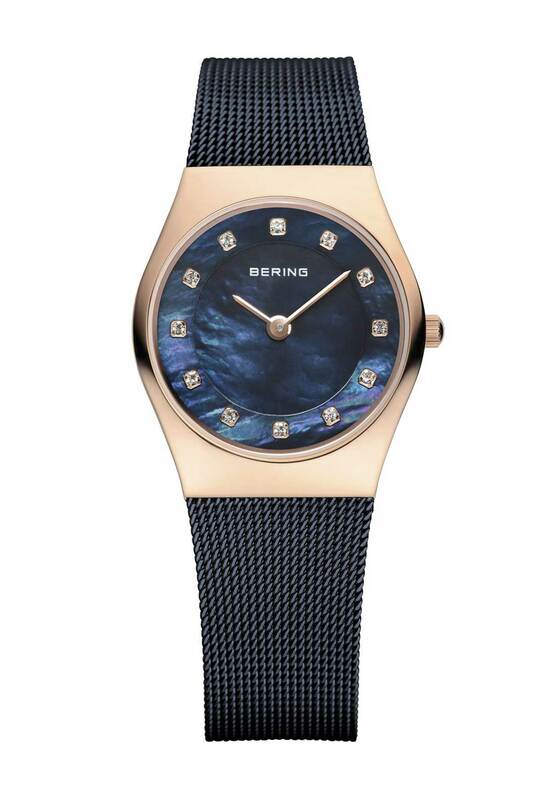 This stylish watch from Bering is presented in classy navy and would be a great choice for everyday wear. 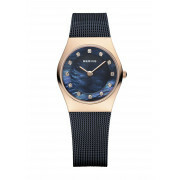 Designed with a slim Milanese style mesh strap and rose gold plated case with navy face. Finishing touches include Swarovski crystal hour markers and minute and hour hands.